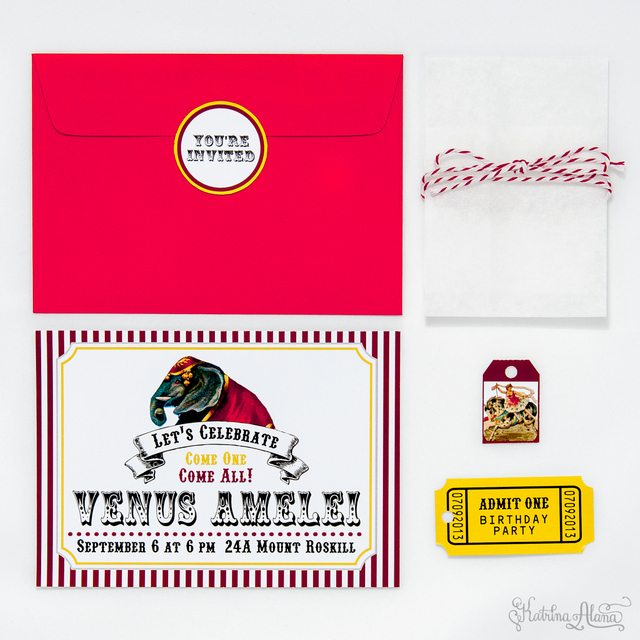 My cousin Venus asked me to design a circus themed birthday invitation for her that she can print at home. She had an inspiration photo from Martha Stewart. 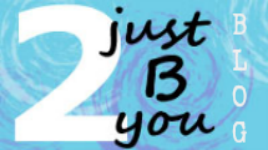 I wanted to take the font type and use of paper accessories as inspiration for my original design. The vintage graphics are courtesy of The Graphics Fairy. The set is composed of the main invitation which is wrapped in wax paper that is tied with twine. 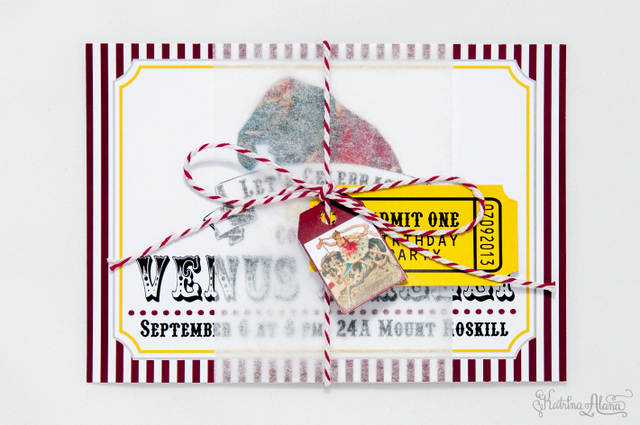 Two paper accessories are used to give the invitation a more vintage look. I designed a round sticker for the envelope so that there is continuity from the outside to the inside. She was happy with the first draft so a printable PDF was sent to Venus. I gave her some instructions on what materials to use for the invitation. We’re getting a few projects for digital copies of invitations and we are thinking of selling some of our designs. What do you think? Would you be interested in purchasing digital designs that you can print at home or email to invite your family and friends? This entry was posted in Invitations and Save the Dates, My Projects and tagged birthday, circus, invitation, party, The Graphics Fairy on August 16, 2013 by Katrina Alana. 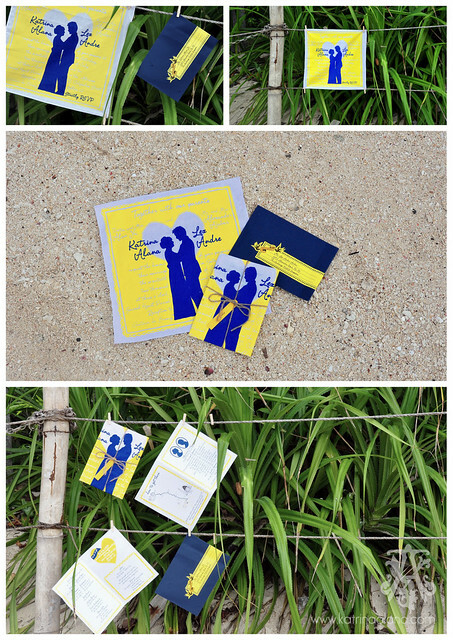 We created this custom invitation for our friends, Kim and Alfon. Kim showed me this picture from a library book of a paper cut invitation that she liked and I based the feel of their invitation from that inspiration. The bride wanted an invitation based on her favorite color which is green and she liked the style of the illustration I made for another save the date. The seal was made using silver wax beads and a 2 letter seal which is available from our store. 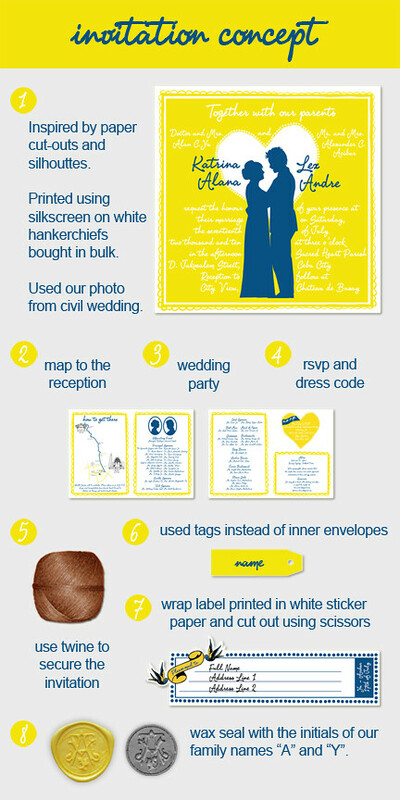 The main invitation and insert is printed on linen textured paper. The small reception card is the size of a business card which indicates the venue address and printed at the back of the card is the contact information of the couple as well as their sisters who are in charge of the RSVP. Having the small card handy will be convenient for guest who will be travelling to the mountain side reception venue from the city. 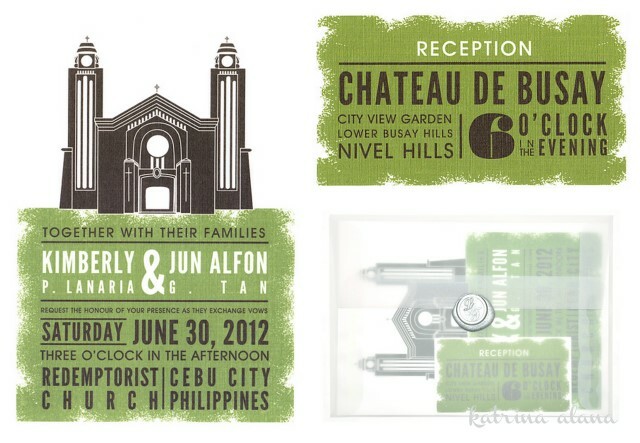 This entry was posted in Illustrations, Invitations and Save the Dates, Katrina Alana Products, My Projects and tagged cebu, chateau de busay, custom illustration, dark brown, green, redemptorist church, silver, Wax Seal on February 1, 2012 by Katrina Alana. 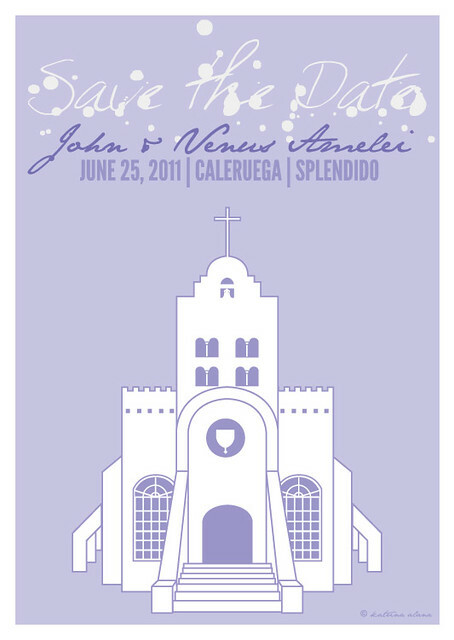 This save the date was designed for my cousin Venus and her fiance, John. They wanted something modern and elegant. I created this illustration of the Transfiguration Chapel in Tagaytay inspired by one of Venus’ favorite place, Santorini in Greece and matched it with her wedding color which is lilac. 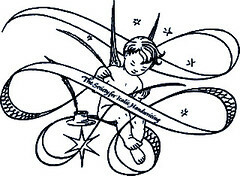 This entry was posted in Illustrations, Invitations and Save the Dates, Katrina Alana Products on February 16, 2011 by Katrina Alana. We wanted our invitations to be very unique. I knew that I wanted to use our photo, make it the design simple, modern, vintage but still romantic. I just loved how mustard yellow makes such a cute statement but I also wanted something that would contrast this color without looking so loud. Blue seemed like a great choice. As a bride, I wanted so many things that I didn’t know how to make all the ideas fit. I had to think of ways on how to make the design look cohesive. So my sister shopped for hankies and got them printed at a friend’s t-shirt printing shop in Cebu while my fiance and I labored through printing, cutting out the stickers and tags. We shipped packages to and from until we had 3 different households helping us assemble the invitations. In the end, we got our one of a kind invitation. We’re very thankful for all the help we got. I’m so lucky that my fiance, family and friends were so supportive and lent their time and effort in helping make the my design a reality. 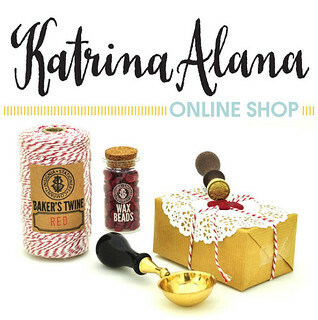 This entry was posted in Illustrations, Invitations and Save the Dates, Katrina Alana Products, My Projects, Weddings and Accessories on August 12, 2010 by Katrina Alana.